so it will take a long time until i get to it. If there is interest, nothing wrong with having both an ISA and LPT version. Anyone who programs for it could support both. yeah the only application I could think of, is to run an emulator on PC, and use a real soundchip. (so make a driver for the emulator). Oh well, I believe the MSX scene did such things even though there were no actual games (I'm no MSX owner, though). The MoonSound, for example, was made by hobbyists in the mid-90s, long after the MSX platform was considered dead. 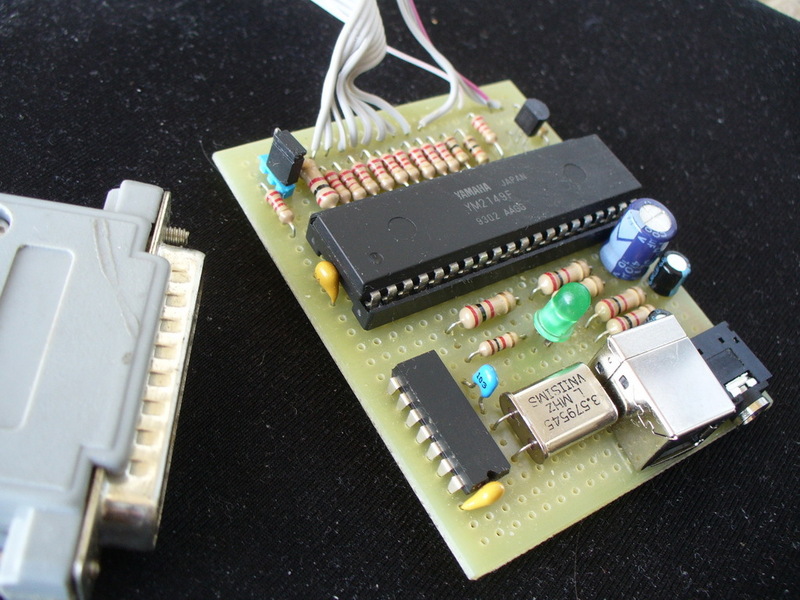 That nifty little card was based around an OPL4 chip and got some interesting tracker programs. Personally, I find the idea of ab0tj interesting. on old PCs running DOS, CP/M or even GEM/Win1.x. Edit: The Covox Sound Master did also use a AY-3-8910/AY8930 PSG. Maybe "we" can make the new design compatible to that ? So we could have at least a little game support. Last edited by Jo22 on 2018-2-09 @ 23:11, edited 1 time in total. 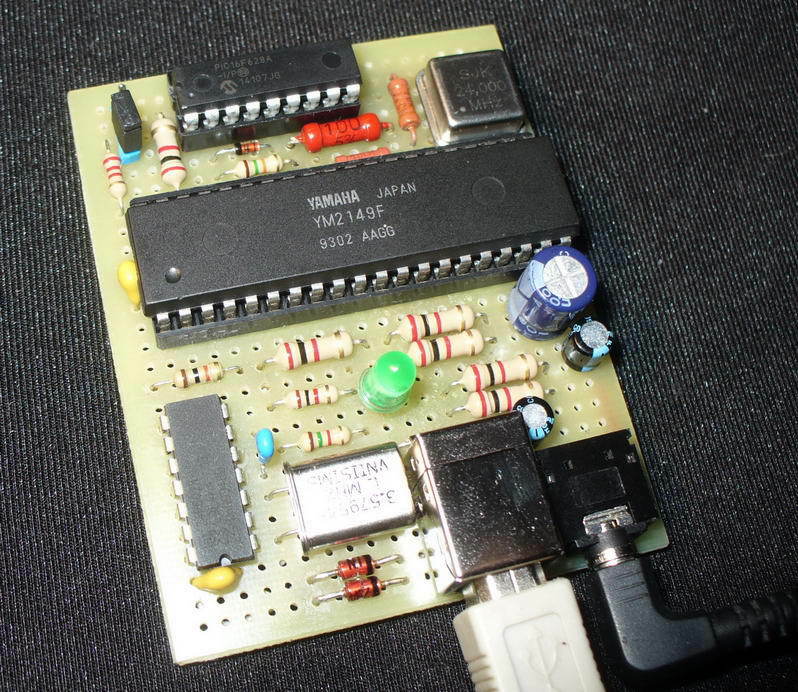 Yeah I've known of that opl4 board and it is really amazing. Not trying to ditch anything here, just stating that obvious lack of software. I'd love to see something working with it. No, no, what you said was alright and the point was absolutely valid, too. My reply was no critique- I just wanted to note that there's amazing music that could be played on our old hardware. Or created. For a musican/artist looking for inspiration, it would perhaps mean a lot to put him-/herself in times long gone. The experience or ambience of working with, say, an IBM 5150, would be quite different than doing the composing on a modern day iPad or all-in-one PC. Edit: Some of the better AY-3-8910 songs that I have found..
Wouldn't be too difficult, if it's a YM2149 running with the clock at 4MHz (I think), to write a simple YM music format player. Since the YM format is basically just a compressed register dump. Would at least let it be somewhat useful by being able to play Atari ST music files. Jo22 wrote: Edit: The Covox Sound Master did also use a AY-3-8910/AY8930 PSG. I would expect only a handful of games to support it, not 164. Judging from the pictures, there is no crystal/oscillator or anything on the Covox Sound Master. That means there is no way to generate a 4 MHz clock signal. I suspect it divides the 14.32 MHz NTSC clock on the ISA bus to get 3.57 MHz, same as various other sound interfaces on PC do, such as the SN76489 in PCjr/Tandy, and the AdLib. Even so, it might not be too difficult to take a 4 MHz YM file, and adjust all frequency commands for 3.57 MHz. Well have a Covox Sound Master in the works. Fagear, did a lot already checking the traces from Covox Sound Master pictures. shock__ will work with motorumi to reverse engineer the CSM, but only after he finishes ARGUS. As far as game support it should bem similar to the Innovation SSI-2001, maybe around 12 games support it. Most games that claim Covox Sound Master support are actually referring to the Covox Sound Master II which uses a YM3812 OPL2 chip. Scali wrote: Judging from the pictures, there is no crystal/oscillator or anything on the Covox Sound Master. That means there is no way to generate a 4 MHz clock signal. I suspect it divides the 14.32 MHz NTSC clock on the ISA bus to get 3.57 MHz, same as various other sound interfaces on PC do, such as the SN76489 in PCjr/Tandy, and the AdLib. Probably could be done real time in the player. YM is just a 50Hz register dump format. Just would need to take the values going to the frequency registers and do some scaling (~ -10.75%) on them. The Covox Soundmaster also has a DAC right ? matze79 wrote: The Covox Soundmaster also has a DAC right ? Yup, a DAC with DMA support. Hm is there something special on the Covox Soundmaster ? except for DAC ? i try to connect the AY to ISA Bus and simply hook it to the soundmaster i/o address.